Do you want to save on theSwanstone countertop price for your home renovation project? If you’re like other homeowners in places like Baltimore, Annapolis, Fairfax, and other places in Maryland and Northern Virginia, then you want the benefit of these luxury counters without emptying your bank account. Well don’t worry, because we can help. Keep reading this page to learn about what you can do to make the Swanstone countertop price affordable and get exactly what you want before you know it. If you’d like to speak with an expert countertop contractor who can answer all of your questions, call 410-712-0601 today. 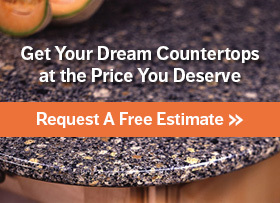 You can also click here to request a fast, free countertop estimate. Like many other projects in home renovation, the cost of putting new countertops in your home can vary depending on a wide range of factors. This is especially true for Swanstone counters because they are popular in a number of different places and put in place for many different needs. If you’re shopping for these counters for your home or place of business, think about some of the following when you shop around. Color – It’s the first thing people will see when they look at the counter, so you want to make sure you get it right. No matter where you are putting the counters, you will want color that complements the look of the room. Fortunately, there is enough variety out there that finding something that works won’t be an issue. Cost comes into play when you consider the popularity of certain colors. In order to cut costs on your Swanstone counters, consider using colors that aren’t so widely adopted. You’ll have a much better chance of making your room more unique that way. Repair and Maintenance – You want to think about how easy upkeep will be over time when you’re wondering about Swanstone countertop price. This is an important factor to think about because it adds to the overall cost of your countertops. With Swanstone countertops, they can often be cleaned with soapy water and normal household cleaner. Additional care has to be taken with the material for problems with scratches and other blemishes, however. Edge Style – Countertop edge styles are the design element that help tie the look together, but more elaborate edges can raise the cost of the project. When you want to keep Swanstone price down, consider a simpler style of edging to finish off your countertop design. Even with these considerations, it’s important to know that Swanstone counters are an affordable alternative to many of the high end options that are out there. Because of that, this material can be found in a number of residential and commercial settings. So if you want Swanstone counters at a reasonable price, where can you find them? When you need installation of kitchen countertops or bathroom countertops, the only name you need to trust for your service is Express Countertops. Here at Express Countertops, we do what’s necessary to keep Swanstone countertop price reasonable so that you can get exactly what you want. That means working with you on every step of the project so that the details are exactly as you want. As your contractor, we will go over every aspect of the project with you so that the final results meet your standards. The professionals of Express Countertops are here to help, so let’s get started! If you’re ready to get started, or if you have questions, call us today at 410-712-0601 or click here to contact us online. Once you do, we’ll talk about Swanstone countertop price, what you’re looking for, and how we can make your countertop affordable for you. You’ll have your new Swanstone counters in one week–guaranteed!